It was a mixed week of league and cup fixtures for the St Andrews teams in the Dundee and District Table Tennis league. Division One side Prefects had a tough week, facing Up4It twice. In their league fixture, Michael Hahn beat strong player, Paul Monteith comfortably 3-0, before Up4It’s Gillian Edwards equalled the score-line with a similar game against Clyde Johnson. Sascha Roschy was then edged out by Ryan Docherty, Sascha leading 7-4 in the deciding 5th set, only for Ryan to win the next 7 points and take the game. The next game was probably one of the greatest the league will witness this season, with leading players Michael and Gillian coming face-to-face. Michael played some excellent points to race into a 2-0 lead against the Scottish Number 1 and Commonwealth Games athlete, only for Gillian to win the third game. The fourth game stood at 10-10, and Michael held five match points during deuce, having won all the points on his own serve but being unable to win any on Gillian’s, before Gillian edged through that set 17-15. Michael was resilient, and the pair were neck-and-neck throughout the deciding fifth game, Gillian having her first match point at 10-9, before Michael won two points to give himself yet another match point on Gillian’s serve, but again was unable to convert it. Gillian pulled through 13-11 to take the epic encounter. Sascha and Clyde both had chances in their next two games but lost in four sets to Paul and Ryan respectively; Clyde was particularly unfortunate, with the three sets he lost all being 12-10. Michael then gained some revenge on Gillian when he and Clyde had a very strong 3-0 win over her and Ryan; a rare loss for the Up4It pair. Gillian then had a comfortable win over Sascha, and Michael responded with a similarly comfortable win against Ryan to set up the final game where Clyde lost a close 3-2 match against Paul. Whilst the scoreline was 7-3 to Up4It, the fixture was very close, with Michael’s extremely tight loss to Gillian, and Sascha and Clyde losing no fewer than 11 sets by the minimum 2-point margin. Friday night saw nine of the first-round Excelsior Cup matches hosted at Ward Road Gym, with a good crowd and many St Andrews players there to watch. The two most highly anticipated matches of the night saw Prefects take on reigning champions, Up4It, and Knights take on Star (a battle between the winners of Division One from the last two seasons). The first six games were shared between Prefects and Up4It. Michael and Gillian stamped their authority on proceedings, each winning their first two games, Gillian with 3-0 wins over Clyde and Sascha, and Michael with a 3-0 win over Paul and a 3-1 win over Ryan. Sascha was unfortunate to lose a close four-set game to Ryan, and Clyde did well to reverse the result from earlier in the week and beat Paul 3-2. Michael and Gillian then played another nail-biting epic, sharing the first four games with some excellent attacking play. Gillian raced to a 5-2 lead in the deciding set, but Michael pegged her back to 5-5 before Gillian once again took a lead at 10-7 up. Michael saved the match points, winning four consecutive points to give himself a match point at 11-10, another at 12-11, and yet another at 13-12 but, again, was unable to break through Gillian on her own serve in these crucial points. Gillian played some very controlled and intelligent attacking table tennis, and was able to close out the game 15-13 to again beat Michael by the closest of margins and give Up4It a 4-3 lead. Clyde started well in each of the sets against Ryan, but was unable to convert any of them, losing 3-0 by the closest possible margin in each to Ryan to give Up4It a 5-3 victory. Two excellent matches between the two teams, and demonstrative that Prefects are a challenge for any team in the league. On the adjacent table, Star and Knights were tied 4-4, with Robert Toth and John Hannah — last season’s top two players in the league — competing in the last game. John managed to defeat Robert in four sets to give Star an unexpected, but not completely surprising, victory. Overall it was an excellent night of table tennis, especially with these two fixtures, and showed off some very strong table tennis, with spectators being particularly thrilled with the matches between Michael and Gillian, and Robert and John, showcasing the league’s top four players from last season. In Division Two, Swots were involved in a close fixture of their own against Chieftains. Dave Beveridge was the strongest player for Swots on this occasion, defeating Jim Tawse 12-10 in the deciding set and Jacob Munro 3-0. Dave was unfortunate not to make it an unbeaten night, losing to Fiona Kinloch 11-8 in the deciding fifth set and, alongside Emma Bissett, losing to Fiona and Jim 13-11 in the fifth set. Emma lost two four-set games to Fiona and Jim, but was able to win a strong game against Jacob Munro 13-11 in the fifth set. Collin Bleak was unfortunate not to add to Swots’ score, losing two tight four-set games against Jacob and Fiona, and was edged out 11-9 in the fifth set by Jim. A 7-3 loss for Swots, but with only one game being 3-0, and no fewer than five games going to a deciding set, it was a very close encounter. New Kids had a much more successful match against Tigers, winning 8-2. Clyde Johnson was the star player, having few difficulties and winning 3-0, 3-1, 3-1 in his singles games, and combined with Howard Lee to win the doubles 3-0. Emma Bissett and Howard both also had good nights, beating Marion Davidson and Kenny McLaren, although Howard had to come back from 2-0 down to defeat Kenny. Both, however, were defeated by Logie Anderson, 3-1 and 3-0, respectively. Truants had similar success, defeating Rollercoasters 7-3, with Rollercoasters only fielding two players. Sascha Roschy had two very comfortable wins against David Lane and Tony Cook. Graham Wood beat Tony in four sets and was unfortunate to lose 11-9 in the fifth set to David. Sascha and Graham then combined to take the doubles game 3-2 against Tony and David. Knut Radmer lost his two games 3-1. This entry was posted in Match reports, St Andrews Table Tennis Club on October 30, 2017 by standrewstt. With no league fixtures played this week, four St Andrews teams participated in cup fixtures in the Dundee and District Table Tennis league. Truants and Prospects faced each other in an epic double-fixture, managing to complete both their Secondary Shield and Stanley Doubles Cup matches on one evening. In the Secondary Shield, Jon Fraser and Sandy Pearson were both able to defeat Alain Leger by the narrowest of margins, Sandy 15-13 and Jon 12-10 in their respective deciding sets. Jon was unfortunate to lose 3-1 to Graham Wood, having lost the first two sets 11-9, 16-14, and Graham was also able to beat Neil 3-0 despite a close second game. Graham’s two wins added to three from Sascha Roschy — who was impervious, not losing a single set — to give Truants a 5-2 victory. Truants won the Stanley Doubles Cup fixture 5-0, although Prospects won sets in four of the five games. Sandy and Neil were the closest to winning, losing to Alain and Graham 11-6 in the deciding fifth set. Swots defeated Duffers 5-1 in the Secondary Shield. 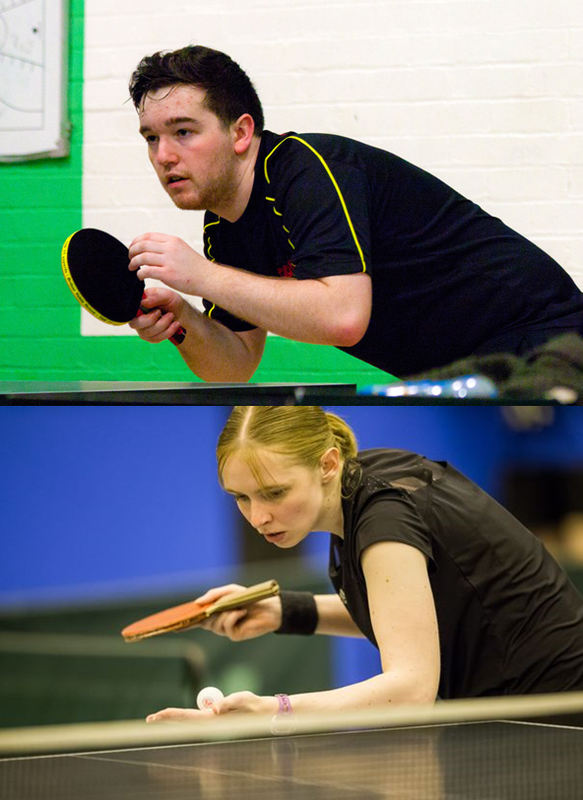 Dave Beveridge and Emma Bissett both won two games, having particularly close matches against Richard McLaren. Collin Bleak was unfortunate to not also have a clean-sweep of victories, losing to Andy Reid in five sets, but bounced back to defeat Richard in straight sets. Swots were also successful in the Stanley Doubles Cup, defeating Princes 5-1. Dave was the strongest player on the night, winning two games with Emma and two games with Sandy Pearson. Princes’ Eddie Dougan and Stewart Mason won the first game of the night in five sets over Emma and Sandy, but it went Swots’ way from there. New Kids were also on fine form, defeating Telsports 6-0 in the Secondary Shield, with Howard Lee, Kong Wan, and Ian Smith each picking up two wins, although only one game — Kong’s win over Robert Fotheringham — was in straight sets. In a battle of the veterans, Kong (soon to be 77) was also involved in the closest game of the night, defeating 82 year old Sandy Elrick in five close sets. Howard lost the second set to Robert but immediately bounced back to win the next set 11-0. Unfortunately, due to injury, New Kids had to pull out of their Stanley Doubles fixture earlier in the week. Prefects had a strong win against Kings in Division One of the Dundee and District Table Tennis League, but were the only St Andrews team to taste victory as Truants drew in Division Two, whilst New Kids and Prospects were defeated in Divisions Two and Three respectively. Prefects defeated Kings 6-4 on Monday night at the Victory Memorial Hall, who finished one place above Prefects last season. Michael Hahn was impervious, winning all three of his singles games and the doubles 3-0. Particularly impressive was his 11-7, 11-8, 11-7 win against University of St Andrews teammate and training partner, Adeola Fabola, who is one of the strongest players in the division. Clyde Johnson also had a strong evening, defeating father-son duo Filip and Aleksandar Jovanovic 3-1 and 3-0 respectively. Clyde was unlucky to not defeat Adeola, having led 10-7 in the deciding fifth set, only for Adeola to peg it back and close out the game 12-10. Bonifac Legrady was unfortunate to lose his three games, losing to Aleksander 11-13, 11-6, 15-13, 12-10, and to Filip 11-9, 7-11, 13-11, 11-9. Experienced doubles pair Michael and Clyde had no problems sweeping aside Adeola and Filip 11-4, 11-6, 11-6. The overall score was a close 6-4 victory to Prefects, but given that Prefects lost three very close games and were not close to losing any of the games they won, it was quite a convincing overall win. In Division Two, New Kids experienced their first defeat of the season at the hands of Viscounts. Ian Smith and Howard Lee were both able to defeat Andrew Nimmo, Ian in 3 sets and Howard in 4. Both will have been disappointed not to also beat Filip Jovanovic (playing his second match against a St Andrews club in two nights), Ian losing 11-3, 11-9, 7-11, 8-11, 11-2, and Howard losing 11-9, 9-11, 12-10, 11-8. Kong Wan was able to win one set against both Andy Hughes and Filip, but was unable to get any closer than this. Ian and Howard will take some consolation in the fact that they were able to defeat Andrew and Filip 3-1 in the doubles to make the overall score 7-3 to Viscounts. Sascha Roschy was able to win all four of his games this week, maintaining his 100% record in Division Two this season. Truants were able to secure a draw in Division Two against Chieftains. Sascha Roschy was the star player, winning all three of his singles games, and the doubles, for the loss of only one set, which was against Jim Tawse to maintain his 100% record. Club chairperson, Alain Leger, had a strong 3-1 win against upcoming junior, Jacob Munro 3-1, but will have been disappointed to have lost to Jim, 11-9, 8-11, 7-11, 11-8, 9-11, as a win would have secured overall victory for Truants. There was some consolation for Alain as he and Sascha won the doubles comfortably against Fiona Kinloch and Jim. Unfortunately Knut Radmer could not add any points onto Truant’s tally, but was able to win the first set against Fiona. Prospects were defeated 7-3 by Lairds on Tuesday evening. Sandy Pearson was the strongest player for Prospects, defeating Ryan Connor and William Beattie, both in four sets. However, Sandy was defeated by Ewan MacDonald in four sets. Ian Brumwell won the closest game of the night, losing the first two sets against William 11-9 and 13-11, before bouncing back to take the remaining three sets 13-11, 11-4, 11-9. Ian was involved in another five set game against Ryan, but was unable to convert on this occasion. Neil Lea found Ewan too strong in his opening game, but was able to have much closer games with Ryan and William, winning one set against the latter. Sandy and Ian combined to play the doubles, and took the first set, but Ryan and Ewan bounced back to win three sets in a row and the game. 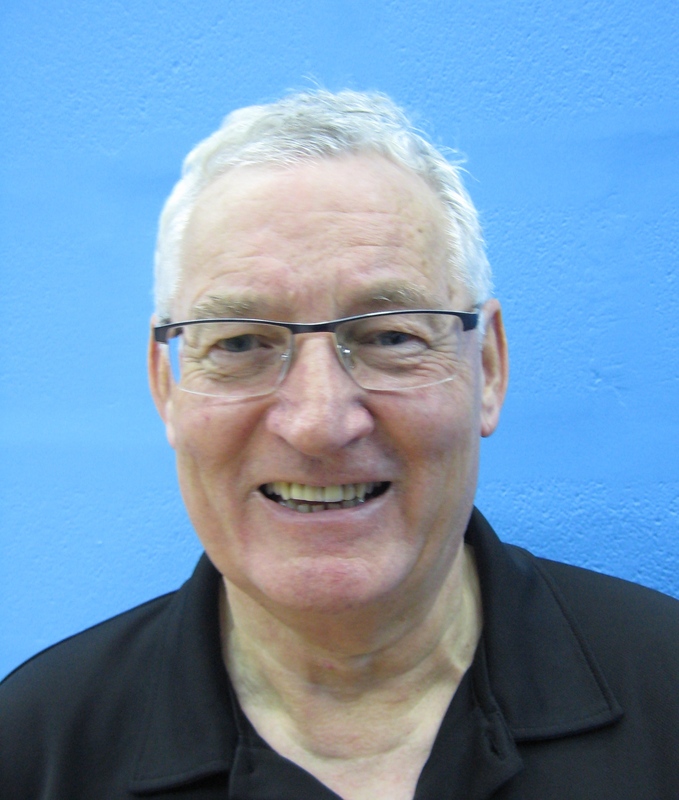 This entry was posted in St Andrews Table Tennis Club on October 16, 2017 by standrewstt. This week, free of scheduled league matches, saw the start of some of the cups in the Dundee and District Table Tennis League. St Andrews teams were involved in three cup fixtures, and were successful in all three. Division One team Prefects won two cup fixtures this week without the loss of a game. 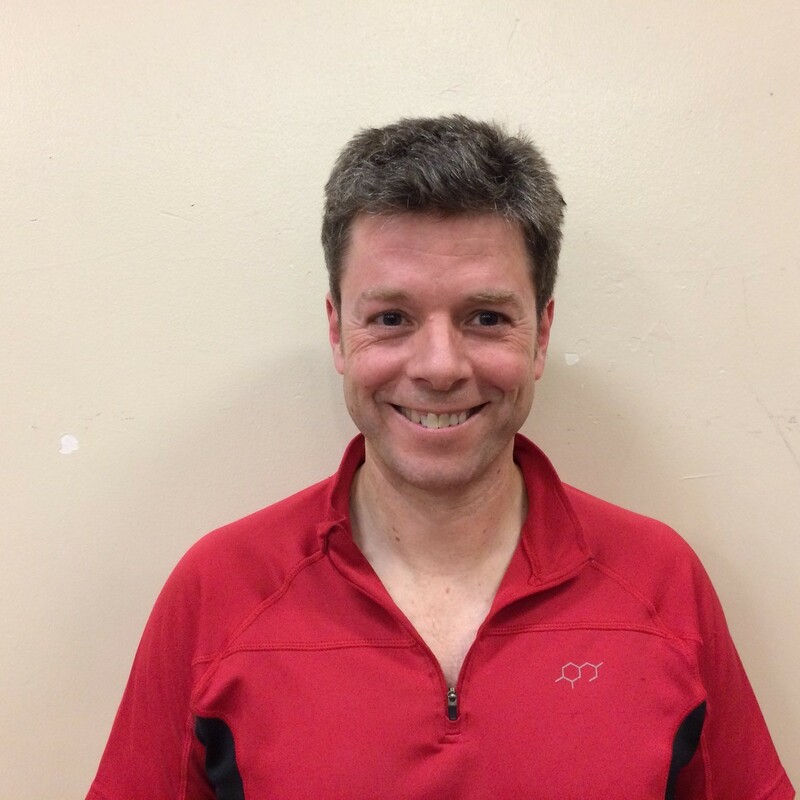 On Monday, they faced Division Two team Chieftains, who were represented by Jim Tawse, Fiona Kinloch, and Jacob Munro, in the Stanley Doubles Cup and were impervious, sweeping aside their opponents for the loss of a single set in a 5-0 victory. Howard Lee — who should be thanked enormously for stepping in at the very last minute — did not drop a set throughout the night, playing two games with Michael Hahn, and one with Clyde Johnson. Michael was involved in four of the five games, and Clyde involved in three. Michael and Clyde dropped the third set 11-9 to Fiona and Jacob, but bounced back to take that particular game 3-1. On Thursday, the Prefects team of Michael Hahn, Justin Yang, and Clyde Johnson faced Forthill-based Division One team, Thumpers in the first round of the Chairman’s Challenge. Having lost 4-3 in the semi-finals of last year’s event, Prefects were keen to get a good start this year. Clyde started strongly, sweeping aside Ian Hunter 11-2, 12-10, 11-6, but Thumpers looked set to level the match at 1-1 as Justin lost the opening two sets 11-9 to strong player, David Sim. However, Justin fought hard and was able to win the third set 11-4 (at one point leading 8-0), and scraped through the fourth set with a 13-11 win. The fifth set was a very tense affair, but with an excellent combination of attacking and defensive table tennis, Justin managed to take the set 12-10 and the game 3-2 to give Prefects a 2-0 victory. After a slow start, Michael showed a strong display of attacking play, beating Jordan Ednie 3-1 in a comfortable, but not one-sided, game to give Prefects a 3-0 lead. The experienced doubles pair of Michael and Clyde had very few problems in an 11-6, 11-8, 11-6 win against Ian and Jordan to give Prefects a 4-0 victory in the match. New Kids were successful this week in the Secondary Shield with a team of Ian Smith, Kong Wan and Howard Lee. On Tuesday, Division Two team New Kids were successful in the first round of the Secondary Shield against Princes in a tough match. 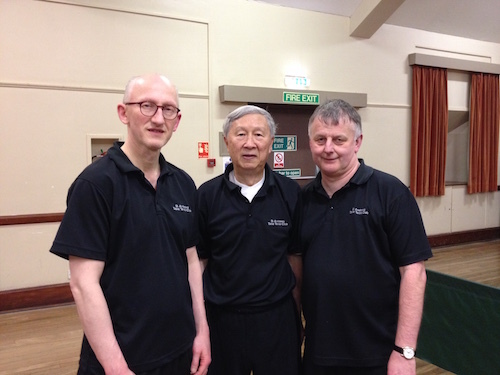 New Kids suffered two surprising losses at the start of the match, going 2-0 down as Howard Lee and Kong Wan lost to Stewart Mason and Derek Johnston, respectively. However, with two straight-sets victories for Ian Smith against Eddie Dougan and Stewart, and a win for Howard against Derek — all in straight sets — New Kids were back on track and took a 3-2 lead. Kong was unfortunate not to extend this lead, losing out 11-8 in the deciding set against Eddie which levelled the fixture at 3-3. However, it was plain sailing from then on with the three New Kids’ players winning one singles game each. Ian won his third 3-0 game of the night, this time against Derek, Howard guaranteed victory for his team with a 3-1 win against Eddie, with an epic 15-13 fourth set, and Kong defeated Stewart 3-0 for good measure to give a final score of 6-3 in favour of New Kids. This entry was posted in Match reports, St Andrews Table Tennis Club on October 9, 2017 by standrewstt. Prefects had a difficult week in Division One against reigning champions and league favourites, Knights, who boast a team comprised of Robert Toth, who finished last season on 100%, as well as Stuart Halliday and Callum Riddoch, two of the top players in the league. Clyde Johnson and Justin Yang found it a tough fixture, both losing all three games, although Clyde was able to pick up one set against both Callum and Stuart, and was unfortunate not to extend the latter to a fifth-set. Michael, however, was able to defeat Callum in four sets and Stuart in five, and was involved in an epic encounter with Robert. At one set apiece, Robert managed to take the third and fourth sets 16-14, 14-12 to seal the game. Division Two side Swots had the second derby-match in two weeks as they faced off against another St Andrews club, Truants, on Tuesday evening. The Swots trio of Emma Bissett, Collin Bleak, and Dave Beveridge all managed to account for Knut Radmer, although Knut extended Emma to the full five sets. However, Truants were able to pick up the remaining 7 games, with Graham Wood and club chairperson, Alain Leger, managing to win three singles games each, and combined to take a very close doubles match, 11-9 in the deciding set against Emma and Dave. Emma was unfortunate to lose a second match by the same score-line in her singles match against Alain, having recovered from a heavy deficit in the fifth set only to lose 11-9. Collin and Emma were both each able to win one set against Graham, whilst Dave won one set against Alain. Prospects managed a third consecutive win in a very positive start to the season in Division Three. Fabio Sani made a strong start to his season, defeating Winnie Stein and Derek Johnston in four sets, and Steve Wilson in three sets. 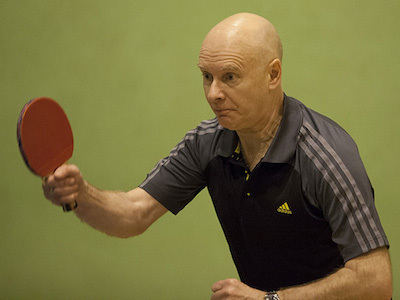 Sandy Pearson continued his good form with three wins, losing one set against both Derek and Steve. However, the pairing of Sandy and Fabio could not add to their singles wins in the doubles as they lost in four sets to Winnie and Derek, with their second-set 14-12 loss proving decisive. Emily Howat secured a strong 3-2 win over Winnie but was unable to pick up any sets in her other two games. This entry was posted in Match reports, St Andrews Table Tennis Club on October 2, 2017 by standrewstt.